Why Does “Holiness To the Lord” Appear on LDS Temples? (1 Kings 3; 5-11) (JBOTL26A). A video version of this article is available on the Interpreter Foundation and FairMormon YouTube channels. Note: Jeff and his wife, Kathleen, have just returned from their mission. This series of Old Testament KnoWhy articles will resume sometime in the first half of August. Question: Why does “Holiness to the Lord” appear on LDS temples? Was the phrase used on buildings anciently? How did the practice of inscribing LDS temples with the words “Holiness to the Lord” begin? What was the meaning of the phrase in the Old Testament? What is the purpose of modern temples? Details of the inscription as it appears on the reconstructed Nauvoo Temple are shown here. The date of “April 6, 1841” that had been selected for the groundbreaking recalled the anniversary of the organization of the Church in 1830. Unlike the inscription above, the words on the original temple were gilded brightly. The pioneer Saints … affixed … “Holiness to the Lord,” on seemingly common or mundane things as well as those more directly associated with religious practice. It was inscribed on sacrament cups and plates and printed on certificates of ordination of Seventies and on a Relief Society banner. “Holiness to the Lord” also appeared over the display windows of Zion’s Cooperative Mercantile Institution, the ZCMI department store. It was found on the head of a hammer and on a drum. “Holiness to the Lord” was cast on the metal doorknobs of President Brigham Young’s home. The phrase “Holiness to the Lord” and the motif of the honeybee come from the Bible and the Book of Mormon respectively. Perhaps in this case, however, these elements were selected for the final design not only because they were distinctive identifiers for the Mormon religion and the territory of Deseret, but also because of their association with Freemasonry, a fraternal organization in which many of the Saints had participated in Nauvoo. The use of these symbols might be seen as a tip of the hat to George Washington who, along with many other prominent and ordinary citizens of that era, was a Mason throughout his adult life. It should also be mentioned that Brigham Young’s father, John Young, had served in three campaigns of the American Revolution under General George Washington. What was the meaning of “Holiness to the Lord” in the Old Testament? The first word, kodesh (= “Holiness, holy”), has application here to something that is set apart from the world and is considered to be singled out as belonging exclusively to the Lord, often for temple purposes. Anything thus consecrated becomes sacrosanct, dedicated wholly to the Lord’s purposes and under His personal protection and care. The second word, le, can mean “to” or “for.” The thing or person referenced in the phrase is considered to be “holy to” or “holy for” the Lord. The Hebrew word (YHWH) for the common English form Jehovah is typically vocalized by modern scholars as Although the name is printed in the Hebrew Bible, observant Jews do not say it as it is written. Instead, as a matter of reverence, they substitute the word “Lord” (adonaï) when reading scripture. How was the phrase used in the Old Testament? Briefly, it was applied to people, not to buildings. As mentioned above, the phrase “Holiness to the Lord” is never used in the Bible in connection with the temple itself. Instead, the Israelites were instructed to engrave these words on a “plate of pure gold” that was to be worn upon the forehead of high priests who had been consecrated to the Lord’s service through sacred ordinances. The high priests and kings of ancient Jerusalem entered the Holy of Holies and then emerged as messengers, angels [i.e., emissaries] of the Lord. They had been raised up, that is, resurrected; they were sons of God, that is, angels; and they were anointed ones, that is, messiahs. … [By entering the Holy of Holies as part of temple service,] human beings could become angels, and then continue to live in the material world. This transformation did not just happen after physical death; it marked the passage from the life in the material world to the life of eternity. Today, those who receive the higher temple ordinances also become, in their measure, emissaries of the Lord, “saviors of men,” in likeness of ancient high priests and kings — and ultimately as their Redeemer. Figure 9. Worshiping the high priest. And I looked, and, lo, a Lamb stood on the mount Sion, and with him an hundred forty and four thousand, having his Father’s name written [sealed] in their foreheads. That day, when all God’s people will be sealed as saints indeed — fully sanctified and holy — is still in the future. This leads to a question about the here and now. As [King] Benjamin makes clear, Christ’s redemption and our humble submission to him makes us saints [in the ultimate sense]. … It is … presumptuous to declare any individual besides Christ to be a saint if we mean by that word “one who is pure.” However, if by calling ourselves saints we indicate our membership in the Church, our communion with the rest of those who intend to live as God’s people, and our calling to the service of God, it is not presumptuous to claim to be saints. Know ye not that ye are the temple of God, and that the Spirit of God dwelleth in you? … The temple of God is holy, which temple ye are. As temples are prepared for our members, our members need to prepare for the temple. We need to take upon ourselves the name of the Lord. The dedicatory prayer for Solomon’s temple stressed that it was not meant to be a residence for God, since He “lived in his ‘dwelling place in heaven’ but that the ‘name of God’ dwelt in the Temple.” In that temple, the final “gate of the Lord, into which the righteous shall enter,” very likely referred to “the innermost temple gate,” where those “seeking the face of the God of Jacob” would find the fulfillment of their temple pilgrimage. This final gate was associated with the name of God Himself. in renewing our baptismal covenants by partaking of the emblems of the sacrament, “we do not witness that we take upon us the name of Jesus Christ. [Rather], we witness that we are willing to do so. The fact that we only witness to our willingness suggests that something else must happen before we actually take that sacred name upon us in the [ultimate and] most important sense.” The baptismal covenant clearly contemplates a future event or events and looks forward to the temple. The teachings of President Oaks and Elder Bednar above came to mind as I contemplated a particular event that took place during the construction of the DR Congo Kinshasa Temple. At the time, my wife and I were living in an apartment directly across the street from the construction site. We watched with interest from our apartment building as work on the temple progressed. We passed its future entrance regularly at an even closer range while walking to our meetinghouse, which sat on the same piece of property. In describing the use of the phrase “Holiness to the Lord” on LDS temples, President Russell M. Nelson mentioned that “translated equivalents are used on temples throughout the world.” Since I was familiar with the translation of the phrase in the Louis Segond Bible that is used by the Church in French-speaking countries, I had already imagined that the inscription on the Kinshasa temple would read a little differently than in English, namely as “Sainteté à l’Éternel” (= “Holiness to the Eternal One”). Imagine our anticipation as we saw the culminating work begin around the doorway in preparation for the inscription plaque. However, when the long-awaited inscription finally appeared, it was not what I had expected. Instead of reading “Sainteté à l’Éternel” (= “Holiness to the Eternal One”), it followed a literal translation of the English King James Version, namely “Sainteté au Seigneur” (= “Holiness to the Lord”). At first, I was surprised. The translation “Holiness to the Eternal One” seemed to embody a more appropriate and specific description of God because the Old Testament name of the Lord is usually taken as signifying that God is eternal — that He is and always will be. I also began to think about the sacred nature of the names of Deity, that they should be spoken in awe and reverence and should not be the subject of “too frequent repetition.” The word “Lord” (adonaï) was the one adopted by the Jews as a substitute for speaking the personal name of God. As the single exception to the general rule in Jewish law that the divine name should not be spoken, it was solemnly pronounced in a low voice by the High Priest standing in the most holy place of the temple only once a year, on the Day of Atonement. At the moment that name was spoken, according to the Mishnah, all the people were to fall on their faces. Even though the word “Lord” is a limiting description in its own way, I began to feel that I could not think of a better word to characterize my relationship to Him as I consecrate myself anew each time I go to the temple. He is my Lord because I belong to Him; because I am bound to Him in a covenant relationship; and because for the blessings of life and salvation I am “indebted unto him, … and will be, forever and ever.” According to Moses 5:4, and consistent with some strands of rabbinic tradition, this was the name Adam and Eve used as they “called upon the name of the Lord” in the fallen world. The greatest change I have noticed in the fifty years since I used to make the three-day bus trip from Los Angeles to Salt Lake is the absence of that thrill I felt when the golden words would begin to appear on the buildings of every little town: “Holiness to the Lord,” over-arching the all-seeing eye that monitors the deeds of men. That inscription was the central adornment of every important building, including each town’s main store — the Co-op, as committed as any other institution of the Church to the plan of holiness. Next to that, what moved me most was the sight of the St. George Temple in its beautiful oasis. Time and again the Saints have made a bungle of the superstructure, unwilling to conform to the foundation laid down in the beginning. When I first came to Utah in the 1940s, it was a fresh new world, a joy and a delight to explore far and wide with my boys and girls. But now my friends no longer come on visits as they once did, to escape the grim commercialism and ugly litter of the East and the West Coast. We can watch that now on the Wasatch Front. The Saints no longer speak of making the land blossom as the rose, but of making a quick buck in rapid-turnover real estate. … The students I have talked with at the beginning of this semester … are not interested in improving their talents but in trafficking in them. Though the glory and holiness of God’s presence no longer fills the whole earth as it did at Creation, it has never been completely withdrawn. In a movement similar to the divine concealment that the Lurianic kabbalah terms “contraction,” the fulness of God’s glory is, as it were, concentrated in one place — the Temple — which continues to represent in microcosm the image of what will someday again become the model for a fully renewed Creation, happy in the divine rest of an eternity of Sabbaths. Until that day, however, the Temple remains “to space what the Sabbath is to time, a recollection of the protological dimension bounded by mundane reality. It is the higher world in which the worshiper wishes he could dwell forever. … The Temple is the moral center of the universe, the source from which holiness and a terrifying justice radiate” to the dark and fallen world that surrounds it. May we heed the words of President Russell M. Nelson calling us to greater holiness, not only as “personal preparation for temple blessings,” but also for the eventual return of the heavenly kingdom presaged by that Holy House. My gratitude for the love, support, and advice of Kathleen M. Bradshaw on this article. Links to the originals of some of the photos above were helpfully provided on https://thetrumpetstone.blogspot.com/2012/02/holiness-to-lord-house-of-lord.html. Thanks also to R. Jean Addams, Marcel Kahne, Stephen L. Ricks, Jonathon M. Riley, and Stephen T. Whitlock for valuable comments and suggestions. A video version of this article is available on the Interpreter Foundation and FairMormon YouTube channels. Alexander, T. Desmond. From Eden to the New Jerusalem: An Introduction to Biblical Theology. Grand Rapids, MI: Kregel, 2008. American Heritage Dictionary of the English Language (Fourth Edition, 2000). In Bartleby.com. https://www.bartleby.com/61/. (accessed April 26, 2009). Arrington, Leonard J. Brigham Young: American Moses. New York City, NY: Alfred A. Knopf, 1985. Barker, Margaret. The Revelation of Jesus Christ: Which God Gave to Him to Show to His Servants What Must Soon Take Place (Revelation 1.1). Edinburgh, Scotland: T&T Clark, 2000. ———. The Hidden Tradition of the Kingdom of God. London, England: Society for Promoting Christian Knowledge (SPCK), 2007. Bednar, David A. “Honorably hold a name and standing.” Ensign 39, May 2009, 97-100. Benjamin, Walter. 1923. “The task of the translator.” In Walter Benjamin: Selected Writings, Volume 1: 1923-1926, edited by Marcus Bullock and Michael W. Jennings. Translated by Harry Zohn, 253-63. Cambridge, MA: The Belknap Press of Harvard University Press, 1996. Bowen, Matthew L. “‘They came and held Him by the feet and worshipped Him’: Proskynesis before Jesus in Its biblical and Ancient Near Eastern context.” Studies in the Bible and Antiquity 5 (2013): 63-89. Bradshaw, Jeffrey M. “Standing in the Holy Place: Ancient and modern reverberations of an enigmatic New Testament prophecy.” In Ancient Temple Worship: Proceedings of the Expound Symposium, 14 May 2011, edited by Matthew B. Brown, Jeffrey M. Bradshaw, Stephen D. Ricks and John S. Thompson. Temple on Mount Zion 1, 71-142. Orem and Salt Lake City, UT: The Interpreter Foundation and Eborn Books, 2014. https://www.templethemes.net/publications/04-Ancient%20Temple-Bradshaw.pdf. ———. Temple Themes in the Oath and Covenant of the Priesthood. 2014 update ed. Salt Lake City, UT: Eborn Books, 2014. ———. “Freemasonry and the Origins of Modern Temple Ordinances.” Interpreter: A Journal of Mormon Scripture 15 (2015): 159-237. https://www.mormoninterpreter.com/freemasonry-and-the-origins-of-modern-temple-ordinances/. (accessed May 20, 2016). ———. “What did Joseph Smith know about modern temple ordinances by 1836?”.” In The Temple: Ancient and Restored. 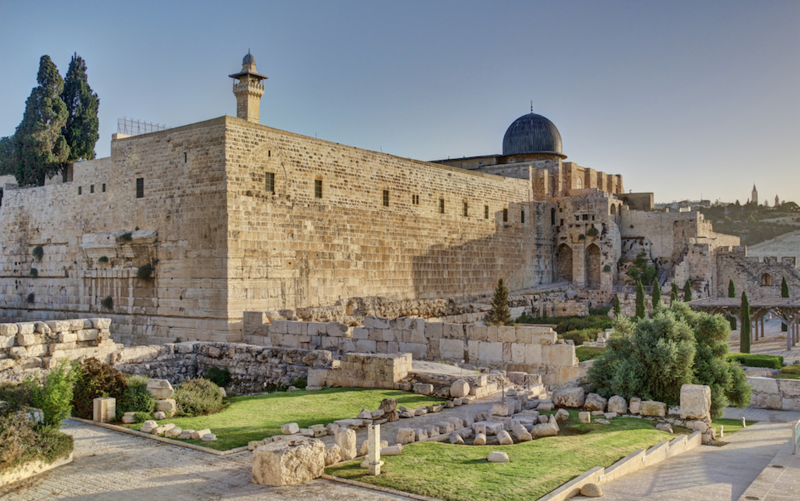 Proceedings of the 2014 Temple on Mount Zion Symposium, edited by Stephen D. Ricks and Donald W. Parry. Temple on Mount Zion 3, 1-144. Orem and Salt Lake City, UT: The Interpreter Foundation and Eborn Books, 2016. Bradshaw, Jeffrey M., and Matthew L. Bowen. ““By the Blood Ye Are Sanctified”: The Symbolic, Salvific, Interrelated, Additive, Retrospective, and Anticipatory Nature of the Ordinances of Spiritual Rebirth in John 3 and Moses 6.” Interpreter: A Journal of Mormon Scripture 24 (2017): 123-316. https://www.mormoninterpreter.com/by-the-blood-ye-are-sanctified-the-symbolic-salvific-interrelated-additive-retrospective-and-anticipatory-nature-of-the-ordinances-of-spiritual-rebirth-in-john-3-and-moses-6/. (accessed January 10, 2018). Brooke, John L. The Refiner’s Fire: The Making of Mormon Cosmology, 1644-1844. Cambridge, England: Cambridge University Press, 1994. Brown, Francis, S. R. Driver, and Charles A. Briggs. 1906. The Brown-Driver-Briggs Hebrew and English Lexicon. Peabody, MA: Hendrickson Publishers, 2005. Brown, Lisle G. 1999. Interior description of the Nauvoo Temple. In The Nauvoo Temple: The House of the Lord. https://users.marshall.edu/~brown/nauvoo/interior.html. (accessed July 4, 2018). ———. 1999. Nauvoo Temple exterior symbolism. In The Nauvoo Temple: The House of the Lord. https://users.marshall.edu/~brown/nauvoo/symbols.html. (accessed August 31, 2014). Christofferson, D. Todd. “The living bread which came down from heaven.” Ensign 47 2017, 36-39. https://www.lds.org/general-conference/2017/10/the-living-bread-which-came-down-from-heaven?lang=eng. (accessed July 4, 2018). Draper, Richard D., and Donald W. Parry. “Seven promises to those who overcome: Aspects of Genesis 2-3 in the seven letters.” In The Temple in Time and Eternity, edited by Donald W. Parry and Stephen D. Ricks, 121-41. Provo, UT: The Foundation for Ancient Research and Mormon Studies (FARMS) at Brigham Young University, 1999. Faulconer, James E. The Life of Holiness: Notes and Reflections on Romans 1, 5-8. Provo, UT: Neal A. Maxwell Institute for Religious Scholarship, Brigham Young University, 2012. Faust, James E. “Standing in holy places.” Ensign 35 2005, 62-68. https://www.lds.org/general-conference/2005/04/standing-in-holy-places?lang=eng. (accessed July 4, 2018). General Board of Relief Society. History of Relief Society, 1842-1966. Salt Lake City, UT: Deseret News Press, 1966. Hamblin, William J., and David Rolph Seely. Solomon’s Temple: Myth and History. London, England: Thames & Hudson, 2007. Hamblin, William J. “The sôd of YHWH and the endowment.” Interpreter: A Journal of Mormon Scripture 4 (2013): 147-53. https://www.mormoninterpreter.com/the-sod-of-yhwh-and-the-endowment/. (accessed April 19, 2013). Hamilton, C. Mark. The Salt Lake Temple: A Monument to a People. 5th ed. Salt Lake City, UT: University Services Corporation, 1983. Holzapfel, Richard Neitzel, and Paul H. Peterson. “Setting the record straight (visual images).” Journal of Mormon History 26, no. 2 (2000): 215-22. https://digitalcommons.usu.edu/cgi/viewcontent.cgi?article=1035&context=mormonhistory. (accessed July 6, 2018). Immekus, Alexander. Freemasonry. In George Washington’s Mount Vernon. https://www.mountvernon.org/library/digitalhistory/digital-encyclopedia/article/freemasonry/. (accessed July 7, 2018). Kane, Thomas L. The Mormons: A DIscourse Delivered Before the Historical Society of Pennsylvania, March 26, 1840. Philadlephia, PA: King and Baird, 1850. https://archive.org/details/mormonsdiscourse00kane. (accessed July 6, 2018). Kimball, Heber Chase. On the Potter’s Wheel: The Diaries of Heber C. Kimball. Salt Lake City, UT: Signature Books, 1987. https://archive.org/details/OnThePottersWheelHeberKimball. (accessed July 6, 2018). Koehler, Ludwig, Walter Baumgartner, Johann Jakob Stamm, M. E. J. Richardson, G. J. Jongeling-Vos, and L. J. de Regt. The Hebrew and Aramaic Lexicon of the Old Testament. 4 vols. Leiden, The Netherlands: Brill, 1994. Levenson, Jon D. “The temple and the world.” The Journal of Religion 64, no. 3 (1984): 275-98. https://www.jstor.org/stable/1202664. (accessed July 2). Madsen, Truman G. 1994. “The temple and the mysteries of godliness.” In The Temple: Where Heaven Meets Earth, 25-37. Salt Lake City, UT: Deseret Book, 2008. Marmorstein, A. 1920-1937. The Doctrine of Merits in Old Rabbinical Literature and The Old Rabbinic Doctrine of God (1. The Names and Attributes of God, 2. Essays in Anthropomorphism) (Three Volumes in One). New York City, NY: KTAV Publishing House, 1968. McBride, Matthew. A House for the Most High: The Story of the Original Nauvoo Temple. Draper, UT: Greg Kofford Books, 2007. Mowinckel, Sigmund. 1962. The Psalms in Israel’s Worship. 2 vols. The Biblical Resource Series, ed. Astrid B. Beck and David Noel Freedman. Grand Rapids, MI: Eerdmans, 2004. Nelson, Russell M. “Personal preparation for temple blessings (from a talk in the April 2001 General Conference of the Church).” In Hope in Our Hearts, edited by Russell M. Nelson, 101-10. Salt Lake City, UT: Deseret Book, 2009. https://www.lds.org/general-conference/2001/04/personal-preparation-for-temple-blessings?lang=eng. (accessed July 7, 2018). Neusner, Jacob, ed. The Mishnah: A New Translation. London, England: Yale University Press, 1988. Nibley, Hugh W. 1980. “How firm a foundation! What makes it so.” In Approaching Zion, edited by D.E. Norton. The Collected Works of Hugh Nibley 9, 149-77. Salt Lake City, UT: Deseret Book, 1989. Oaks, Dallin H. “Taking upon us the name of Jesus Christ.” Ensign 15, May 1985, 80-83. https://www.lds.org/general-conference/1985/04/taking-upon-us-the-name-of-jesus-christ?lang=eng. (accessed October 22, 2016). Salt Lake City Fifteenth (15th) Ward Relief Society Hall p. 1. In Utah Department of Heritage and Arts Classified Photographs. https://collections.lib.utah.edu/details?id=435674. (accessed July 7, 2018). Sarna, Nahum M., ed. Exodus. The JPS Torah Commentary, ed. Nahum M. Sarna. Philadelphia, PA: The Jewish Publication Society, 1991. Schwartz, Howard. Tree of Souls: The Mythology of Judaism. Oxford, England: Oxford University Press, 2004. ———. 1938. Teachings of the Prophet Joseph Smith. Salt Lake City, UT: Deseret Book, 1969. Talmage, James E. The House of the Lord. Salt Lake City, Utah: The Deseret News, 1912. https://archive.org/stream/houseoflordstudy00talm#page/n0/mode/2up. (accessed August 5, 2014). ———. 1912. La Maison du Seigneur. Translated by Marcel Kahne. Torcy, France: Église de Jésus-Christ des Saint des Derniers Jours, 1982. https://www.lafeuilledolivier.com/Fac_similes/La_maison_du_Seigneur_ed_2.pdf. (accessed July 8, 2018). Temple (LDS Church). In Wikipedia. https://en.wikipedia.org/wiki/Temple_(LDS_Church). (accessed July 4, 2018). Young, Brigham. 1859. “Remarks by President Brigham Young, made in the Tabernacle, Great Salt Lake City, Sunday p.m., 31 July 1859.” In Journal of Discourses. 26 vols. Vol. 6, 342-49. Liverpool and London, England: Latter-day Saints Book Depot, 1853-1886. Reprint, Salt Lake City, UT: Bookcraft, 1966.
 https://www.archaeology.org.il/news/news.php?id=172 (accessed July 4, 2018). See 1 Kings 3:1.
 https://youngstranger.blogspot.com/2011/09/kirtland.html (accessed July 4, 2018). https://history.lds.org/exhibit/early-images-of-historic-nauvoo?lang=eng#mv9 (accessed July 5, 2018). See also https://history.lds.org/exhibit/early-images-of-historic-nauvoo?lang=eng (accessed July 5, 2018). Although John Brooke (J. L. Brooke, Refiner’s Fire, p. 249) mistakenly took a statement by Joseph Smith to “the Holiest of Holies” (J. Smith, Jr., Documentary History, 1 May 1842, 4:608) as an out-of-context reference to the Nauvoo Temple, the Prophet actually and appropriately was making an allusion to the heavenly temple where God the Father resides (see J. M. Bradshaw, Temple Themes in the Oath, pp. 197-200 n. 398). T. L. Kane, Mormons, p. 20.
 https://www.flickr.com/photos/quinnanya/3783124973/ (accessed July 6, 2018). L. G. Brown, Nauvoo Temple Exterior Symbolism. Brown adds: “A similar inscription was also engraved in the east wall of the portico” (ibid.). Cf. L. G. Brown, Interior Description). The source for the information about the portico inscription is J. H. Buckingham, a correspondent for the Palmyra Courie, who saw the temple in September 1847 (Letter to Boston Courier , 18 July 1847; see also Gallup, Diary, 29 July 1848, as published in M. McBride, Nauvoo Temple, p. 238). “In a small apartment adjoining the Council Room of the First Presidency and the Twelve, there is the large memorial window pictured herewith. The Temple is shown as it stands with the inscription ‘Holiness to the Lord’ appearing as in the clouds above the great building” (J. E. Talmage, House of the Lord (1912), p. 309, Description of Plate 34). C. M. Hamilton, Salt Lake Temple, p. 145. Although the temple was not completed until Wilford Woodruff was prophet, the dedicatory inscription containing “Holiness to the Lord” was included in the original architectural drawings prepared by Truman O. Angell and approved by Brigham Young in about 1855 (ibid., p. 155). D. T. Christofferson, The Living Bread, pp. 38-39. Certificate of Ordination for Martin L. Harris, Bradshaw Family history papers in the possession of Jeffrey M. Bradshaw. Salt Lake City Fifteenth Ward Relief Society Hall, Salt Lake City Fifteenth Ward Relief Society Hall. Published in General Board of Relief Society, History of Relief Society, p. 31. D. T. Christofferson, The Living Bread. https://en.wikipedia.org/wiki/File:SL_Temple_doornob.jpg (accessed July 4, 2018). https://thetrumpetstone.blogspot.com/2012/02/holiness-to-lord-house-of-lord.html (accessed July 4, 2018). See J. E. Talmage, House of the Lord (1912), p. 253, Description of Plate 6.
 https://coins.ha.com/itm/territorial-gold/1860-5-mormon-five-dollar-ms62-pcgs-secure-k-6-high-r5/a/1219-5526.s (accessed July 4, 2018). In 1833, a committee chaired by U.S. Supreme Court Chief Justice John Marshall, began efforts to raise money for the erection of a monument honoring George Washington. It was a lengthy project. The cornerstone-laying ceremonies occurred on 4 July 1848, but it was not dedicated until 21 February 1885. During this almost thirty-seven year period, several groups, organizations, and agencies attempted to move the project along. During the process, an invitation was sent to each state and territory, inviting each to contribute a stone from its region. In response, the General Assembly of the provisional State of Deseret passed a resolution on 10 February 1851, approved by Utah Territorial Governor Brigham Young a few days later, to provide a block of marble to the Washington Monument. When a good specimen of marble could not be located, oolytic limestone quarried near Manti, Sanpete County, Utah, was substituted. William Ward prepared the stone, measuring three feet long, two feet wide, and six and a half inches thick. When completed, Church leaders asked Marsena Cannon to photograph the stone before sending it off to Washington, D.C. The Historian’s Office Journal notes: “Saturday 19 [March 1853] Clear fine da[y]… Mr. Cannon took a daguerreotype picture of the Deseret block of sculptured marble intended for the Washington Monument.” T. W. Ellerebeck, a clerk in the office, also noted in his diary, “19 March 1853. Bro. Cannon taking Daguerotype [sic] of the Tithing Store and of the Stone for the Washington Monument.” There is no indication that the stone had any relationship to the Salt Lake Temple’s cornerstone laid on 6 April 1853. There is no contemporary reference to the temple cornerstone as being anything but simple cut stone without any symbolic inscriptions or designs. American Heritage Dictionary, American Heritage Dictionary, s. v. convolvulus. Brigham Young, Heber C. Kimball, Willard Richards, Ninth General Epistle of the Presidency of the Church, 13 April 1853, J. R. Clark, Messages, 2:114. (110-110). Millennial Star 15:436-441 (9 July 1853). Exodus 28:36; 39:30; Zechariah 14:20-21. See J. M. Bradshaw, Freemasonry. L. J. Arrington, Brigham Young, p. 8. B. Young, 31 July 1859, p. 220, cited in J. E. Faust, Standing, p. 62.
 https://www.flickr.com/photos/rickety/4726260258/ (accessed July 4, 2018). L. Koehler et al., Hebrew and Aramaic Lexicon, 2:1066-1067; F. Brown et al., Lexicon, 873a, b, c.
 Cf. J. M. Bradshaw et al., By the Blood Ye Are Sanctified, pp. 180-181. M. Barker, Christmas, pp. 5, 12. Compare W. J. Hamblin, Sôd of YHWH, pp. 147, 151. Cf. Revelation 7:3-8; 14:3; D&C 77:11; 133:18. … signifies sealing the blessing upon their heads, meaning the everlasting covenant, thereby making their calling and election sure. J. E. Faulconer, Life of Holiness, pp. 81-82, 83, 84. The phrase “called to be saints” [in Romans 1:7] literally means “called saints,” with the word “called” as an adjective. As we have just seen, the saints in Rome are saints by virtue of their calling, not by virtue of their purity. R. M. Nelson, Personal Preparation, pp. 101-102. See Exodus 19:5-6; Leviticus 19:1-2; Psalm 24:3-5; 1 Thessalonians 4:7; Moroni 10:32-33; D&C 20:69; D&C 110:6-9; see also Bible Dictionary, “Holiness,” pp. 703-704. W. J. Hamblin et al., Temple, p. 27, cf. p. 182. See also 1 Kings 8:27-30; D&C 110:7. Psalm 24:6. Parry sees an allusion to a prayer circle in this verse (D. W. Parry, Psalm 24). “With” = “in’” in Hebrew (M. Barker, Hidden, p. 44; cf. Matthew 21:9). The meaning of being “willing to take upon [us] the name of Jesus Christ” in the sacrament is clear in light of temple ordinances (D. H. Oaks, Taking Upon Us; D. A. Bednar, Name, p. 98; D&C 20:77; 109:22, 26, 79). Truman G. Madsen writes: “You are required as disciples of Christ to come once in seven days and covenant anew to take upon you the name of Jesus Christ. In the house of the Lord you come to take upon you His name in the fullest sense” (T. G. Madsen, Temple and Mysteries, p. 33). The theme of God’s disclosure of His own name to those who approach the final gate to enter His presence is reminiscent of the explanations of Facsimile 2 from the book of Abraham that date to sometime between 1835 and 1841.88 In Figure 7 of that facsimile, God is pictured as “sitting upon his throne, revealing through the heavens the grand Key-words of the Priesthood.” A similar concept is present in Islam. For more on this topic, see J. M. Bradshaw, What Did Joseph Smith Know, pp. 12-15. D. A. Bednar, Name, pp. 97-98. D. H. Oaks, Taking Upon Us, p. 81. W. Benjamin, Task of the Translator, p. 258. R. M. Nelson, Personal Preparation, p. 108. Cf. J. E. Talmage, Maison du Seigneur, pp. 110, 113. Exodus 3:14. See, e.g., N. M. Sarna, Exodus, Exodus 3:14, pp. 17-18. For the medieval kabbalists the whole of the Torah was a mysterious combination of “Names of God”; in fact, the Torah “is nothing but the one great and holy Name of God” (G. Scholem, Trends, p. 210). “And the priests and people standing in the courtyard [on the Day of Atonement], when they would hear the Expressed Name [of the Lord] come out of the mouth of the high priest, would kneel and bow down and fall upon on their faces” (J. Neusner, Mishnah, Yoma 6:2d, p. 275; cf. Ibid., Yoma 3:8, p. 269, 4:2, pp. 270-271). For more on the symbolism of this scene in ancient Israel and at the arrest of the Savior in Gethsemane, see J. M. Bradshaw, Standing in the Holy Place, pp. 85-87. H. W. Nibley, Foundation, pp. 156-159. Hebrew tzimtzum. See also the gradual and seemingly reluctant departure of God from Jerusalem and its temple in Ezekiel (T. D. Alexander, From Eden, pp. 56-57). A number of other Jewish sources likewise describe the similar process of the removal of the Shekhinah — representing God’s presence — in seven stages (H. Schwartz, Tree, p. 51, cf. pp. 55-56). Articles of Faith 1:10. See J. D. Levenson, Temple and World, pp. 297-298; T. D. Alexander, From Eden, pp. 24-26, 42. J. D. Levenson, Temple and World, p. 298. Revelation 22:1-5. See M. Barker, Revelation, pp. 327-333; R. D. Draper et al., Promises; T. D. Alexander, From Eden, pp. 13-15. In cultic contexts, the term for “glory” (kabod) has a technical meaning; it is the divine radiance… that manifests the presence of God [cf. Exodus 40:34, 1 Kings 8:11]… If my translation of Isaiah 6:3 is correct, then the seraphim identify the world in its amplitude with this terminus technicus of the Temple cult. As Isaiah sees the smoke filling the Temple, the seraphim proclaim that the kabod fills the world (verses 3-4). The world is the manifestation of God as He sits enthroned in His Temple. The trishagion is a dim adumbration of the rabbinic notion that the world proceeds from Zion in the same manner that a fetus, in rabbinic etymology, proceeds from the navel. Exodus 28:36b gives the word holiness the alternative "or consecrated," implying reference to the building and not the people.